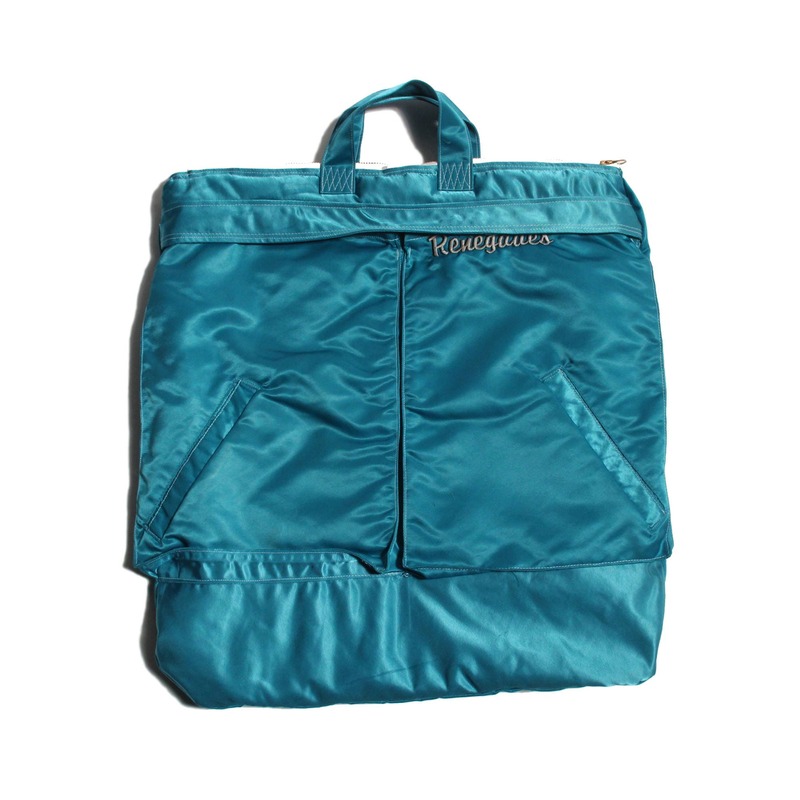 satin baseball jacket deconstructed and made into a bag modeled after a Vietnam era pilots helmet bag. 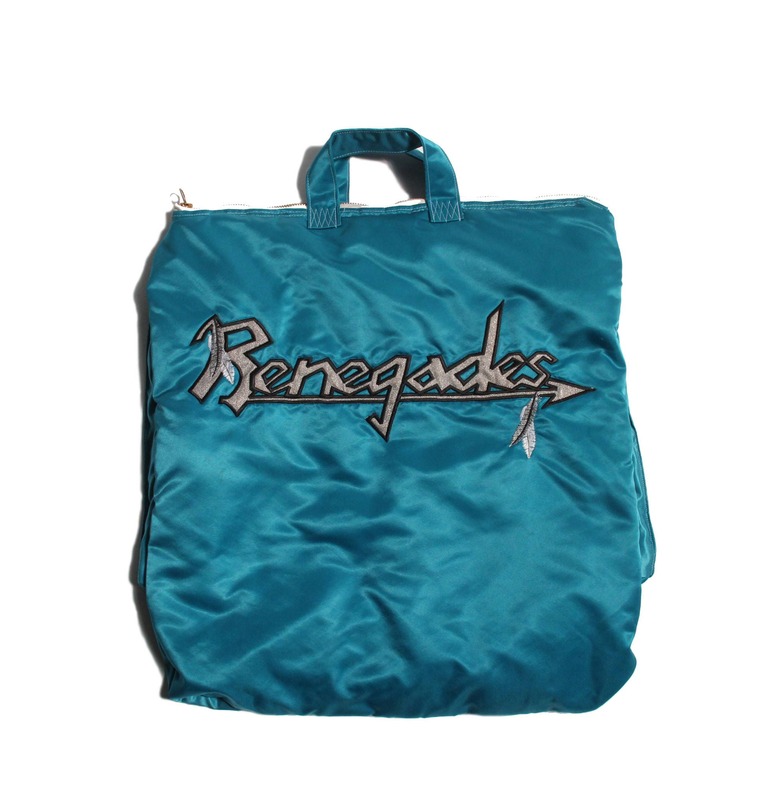 large embroidery that says RENEGADES on one side. double pocket on the other, one pocket having a smaller RENEGADES embroidered. 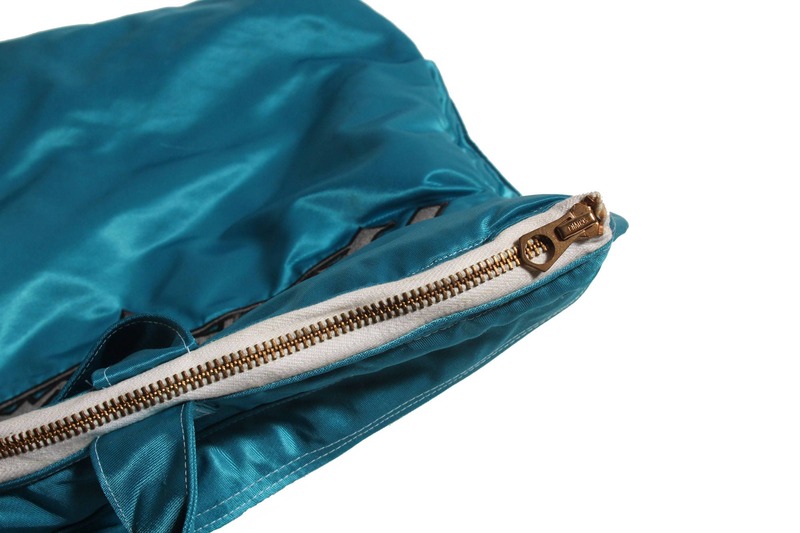 vintage dead stock talon military zipper. quilted interior.